Public TV is a Kannada news channel from Writemen Media Pvt. Ltd.
With a great following and an experience of 24 years in media and close to 17-19 years in the print industry veteran journalist HR Ranganath is Chairman and Managing Editor of Public TV. The Public TV iOS app delivers breaking and trending news stories on the move. With a revolutionary design where we serve Latest articles from each category in home saving time and letting users consume latest from every category at a glance. Stay tuned with Live TV, Push notifications. to consume breaking news across all categories. category to make it easy for the users. * Ease of use for users to navigate to Articles, Photo or Video. * Push notifications to keep the user updated. 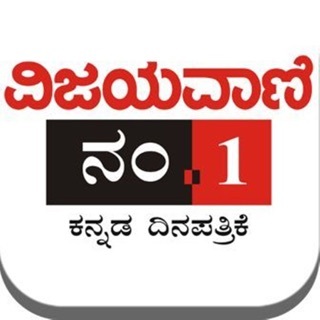 Public TV iOS app includes Special categories like Election, Other categories like Sports, National, Technology, Districts, Cinema giving a wide plethora of news served in one application. Thank you for the appreciation. Hope you are enjoying the news reading now.We have put in Custom Public TV tone for notifications. Please let us know if you have any other suggestions to improve the application, We would integrating the changes to give you a better reading experience. We have completely revamped the News app to give you a best reading experience of using the app. We have added new design, Implemented offline reading of news, And given push notifications to give you news update on the Move. Please check the latest update and let us know how you feel about the application now. Thank you. Just gives out fake news and portrays people in negative shade. Not at all concerned about issues and sufferings of Karnataka. The news channel is only interested in other state affairs most of the time. Please do not install this if you are looking for genuine Karnataka related news.